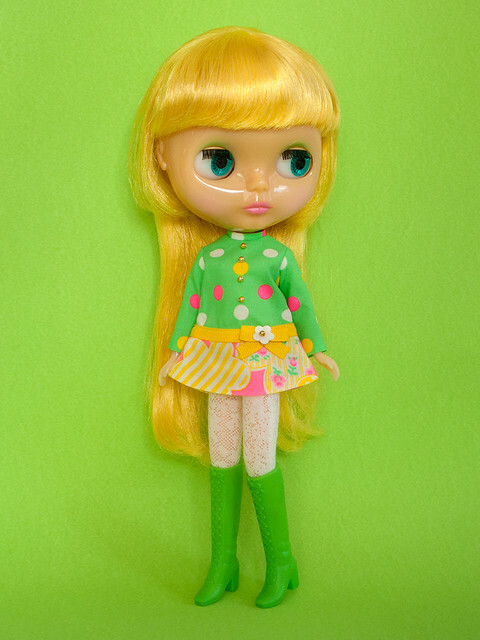 I fell so hard in love with the new concept of Showa era inspired Blythe with a new plastic: translucent plastic so naturally I had to buy! 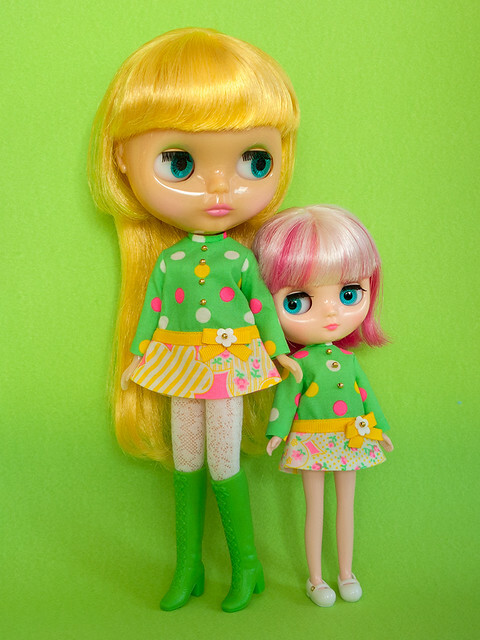 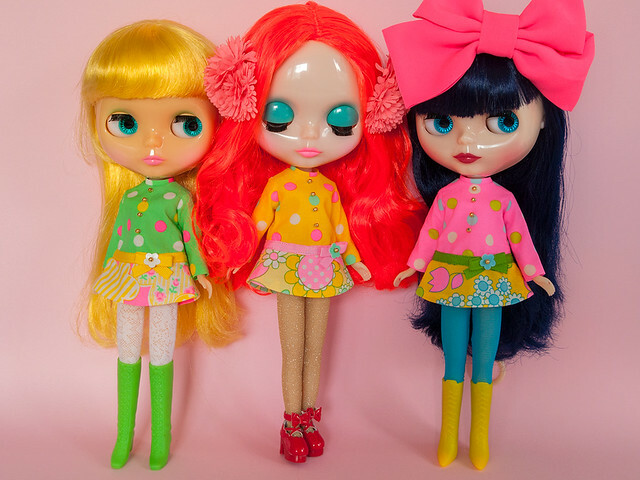 I still love translucent Blythe dolls. 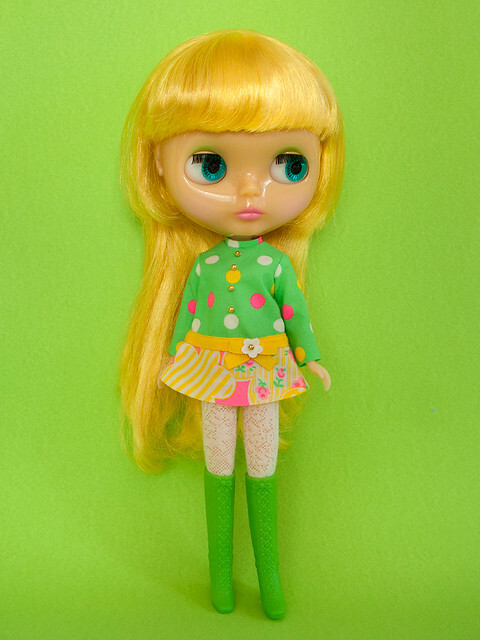 Lemon Curd has a penchant for bright colors to bring out the best of her complexion. 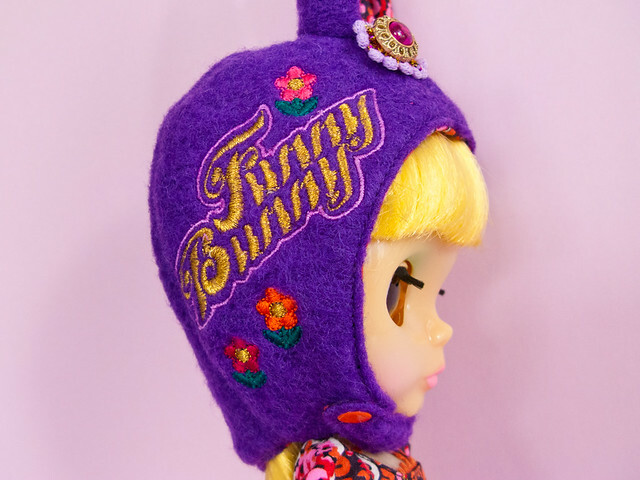 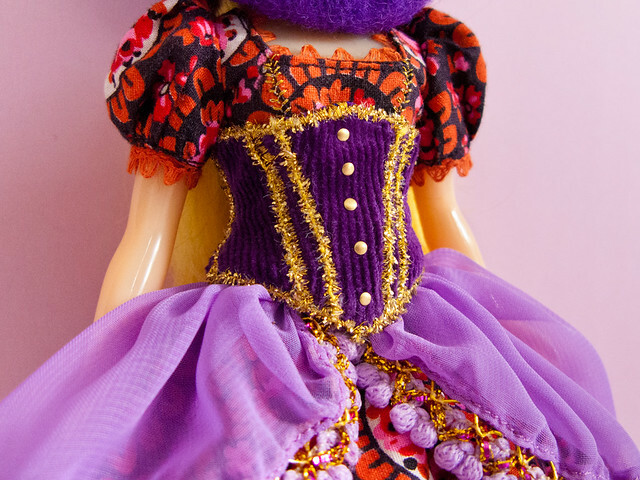 Her favorite designer other than Funny Bunny is Eurotrash Doll Fashion!